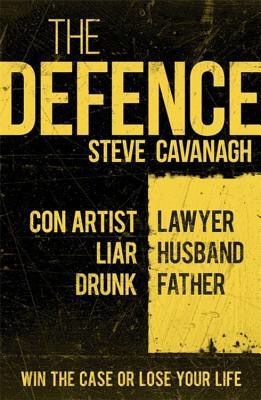 I got my copy of The Defence from Netgalley. I’ve had it on my kindle for too long so dived into it this week! Wow!!!! I’m on a roll with great books this year and The Defence is another one that’s blown me away!!! I love manly books. You know, the kinds of books that are full of action, conspiracies, violence and so on (Jack Reacher and the like basically)! The Defence was definitely up there as regards a thrill-a-minute read! I start books at night when I go to bed as it’s the longest uninterrupted reading time for me so I know when I get to some 30-odd percent that I’m well hooked by a book. I went to sleep thinking ‘I can’t wait to pick this up again tomorrow!’ which is definitely a good sign. The Defence is character-driven and I found myself instantly rooting for Eddie and this didn’t waver at any stage throughout the book. Flynn is a brilliant character. Intelligent and cocky, but full of the street smarts needed when his daughter is kidnapped by the Russian Mafia. I really enjoyed the parts in the book when Flynn is in the courtroom, as his presence is commanding enough to jump off the page. The Defence is a brilliant thriller! Superbly plotted with excellent characters and an engaging story. I cannot recommend this book highly enough. Steve Cavanagh has gained a new fan, and I can’t wait to read the next installment in the Eddie Flynn series! I gave The Defence an easy 5⭐️ rating on Goodreads!